In addition to their injuries, Boston rests Al Horford and Jayson Tatum, but still wins as Jaylen Brown scores 32 points. 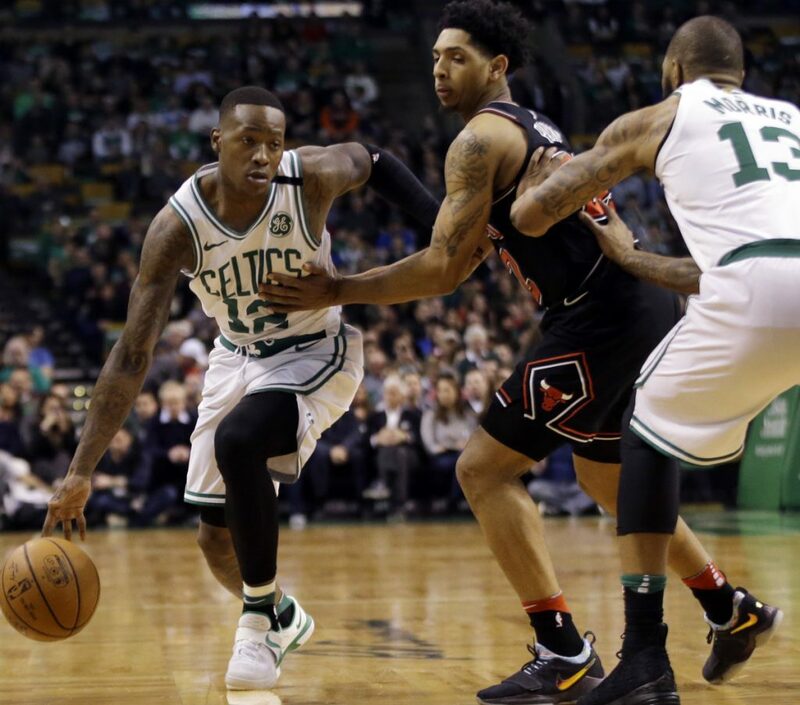 BOSTON — Jaylen Brown scored a career-high 32 points, and reserve Greg Monroe added 19 points, 11 rebounds and 10 assists Friday night as the Boston Celtics defeated the Chicago Bulls, 111-104. With Al Horford and Jayson Tatum given the night off, Boston went deep into its bench against one of the worst teams in the NBA. Terry Rozier said Irving was in good spirits when they spoke. The surgery isn’t expected to have an effect on Irving’s long-term prognosis, Stevens said. Stevens said the plan is to give other players rest as well before the playoffs.